In the back garden. 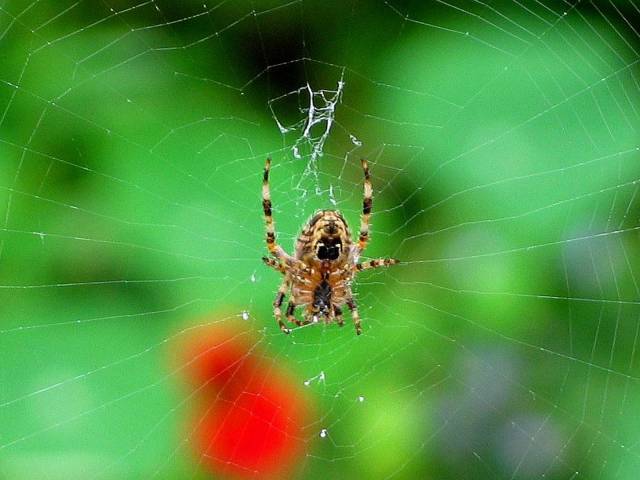 It stayed there so long, with an enormous web strung across the garden that we gave him a name. But I've forgotten it...!